There's little wonder that 'only' 36 FTSE 100 bosses have come out against Brexit. 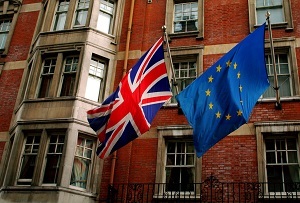 The starting gun has been fired on the forthcoming EU referendum, putting the bosses of UK Plc in a difficult situation. Almost will have strong feelings about Britain’s membership but coming out on either side is not an easy decision for many to make. Overexcited outers across the land have been keen to point out that means that a majority of Britain’s biggest businesses haven’t agreed to sign. But it would be foolish to assume that means they are ok with the prospect of leaving. Britain’s EU membership is a divisive issue – just ask the prime minister, almost half of whose own MPs have declared they intend to oppose him in the vote. Polls (if we believe them after last year’s election) suggest the country is pretty much split down the middle, even if Remain looks slightly ahead. In that context it’s no wonder bosses aren’t keen to speak out. Particularly notable by their absence are consumery firms like Tesco, Sainsburys, Next and Costa owner Whitbread. Marks & Spencer has made it clear that its outgoing boss Marc Bolland has only signed the letter in a personal capacity. No matter how much they want to stay in the EU, it’s not necessarily appealing to be seen as a ‘pro-EU’ brand. So it’s quite brave of the likes of Asda’s Andy Clarke, Dixons Carphone’s Sebastian James and easyJet’s Carolyn McCall to stick their heads above the parapet. That’s not to say the whole of the business world is united on the issue, of course. There is likely a handful of big cheeses who do back Brexit, and small businesses are even more divided. The FTSE bosses are joined in signing the letter by a collection of entrepreneurs including Decoded’s Kathryn Parsons, Love Home Swap’s Debbie Wosskow and Sir Peter Rigby. But there are plenty of small businesses that aren’t so enthusiastic about the EU. A survey by the Federation of Small Businesses of its members found 47% backed staying in and 41% want to go. Some don’t want to risk a reduction in Britain’s access to the single market, others are more concerned about the cost of red tape. It may be something of a reputational risk but regardless of where they stand it’s important that the voices of business are heard ahead of this historic vote.